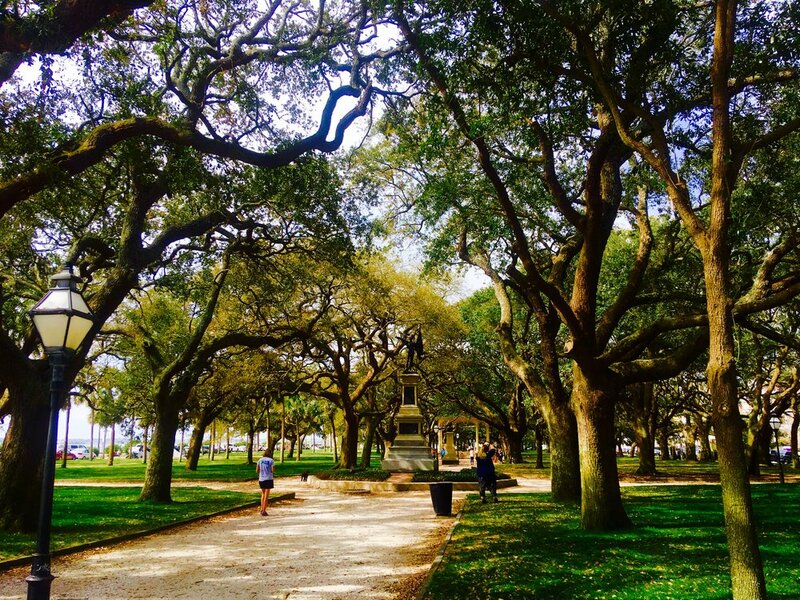 Charleston is built on a peninsula, and at the bottom of the peninsula is "The Battery" which now holds a park. It was wild being here in February and walking around in short sleeves while my parents back in Maryland were telling me about how much snow they had gotten! 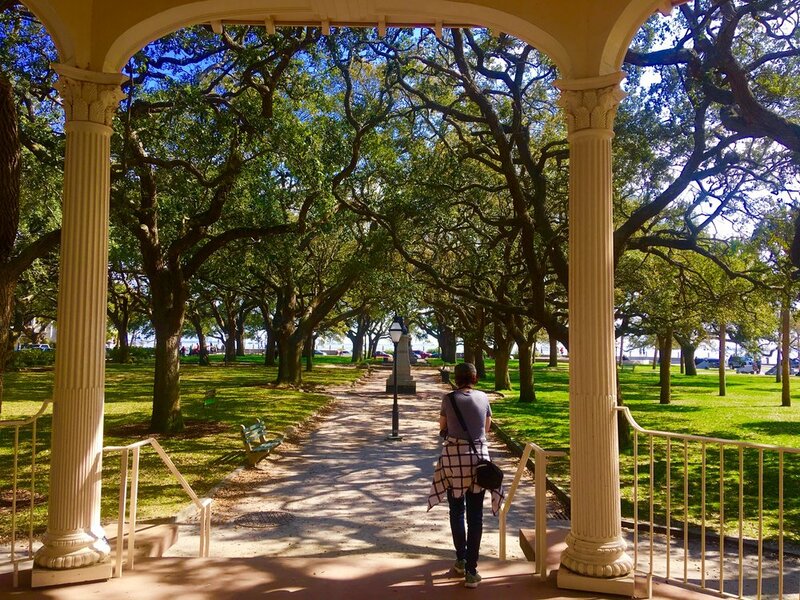 This park is a wonderful way to showcase South Carolina. The trees are all twisty and bendy, with lush green grass and the trees starting to bud and blossom. Hidden amongst the mossy trees is an old statue or building, all within walking distance of the next hidden gem the small city has to offer.